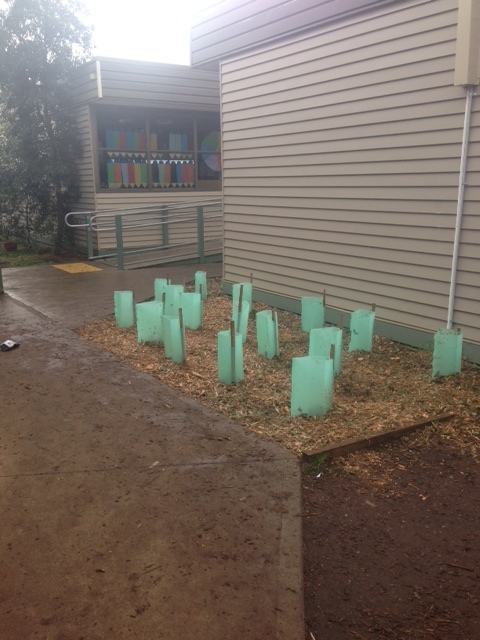 Exford Primary School has a landscape plan to enhance the site with a mixture of native trees. The school’s aim is to improve aesthetics, create additional habitat, enhance air quality and the general wellbeing of the school community. 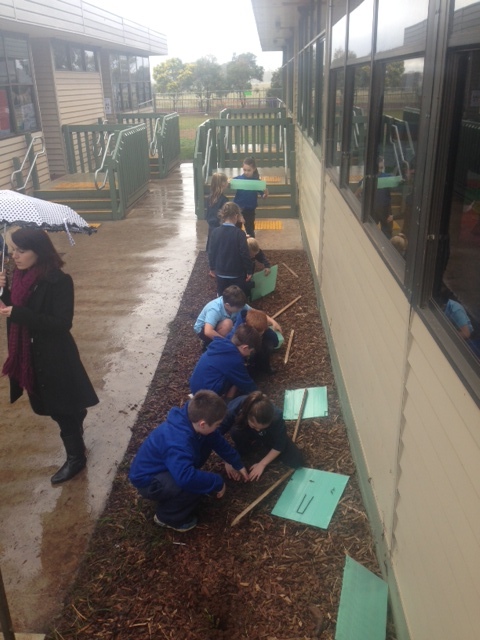 The planting provided a fun, social interactive session engaging the students, teachers and parent body. It offered the opportunity to educate all on the importance of trees and tree canopies, particularly as shade providers from UV and keeping school buildings cool during the summer months. 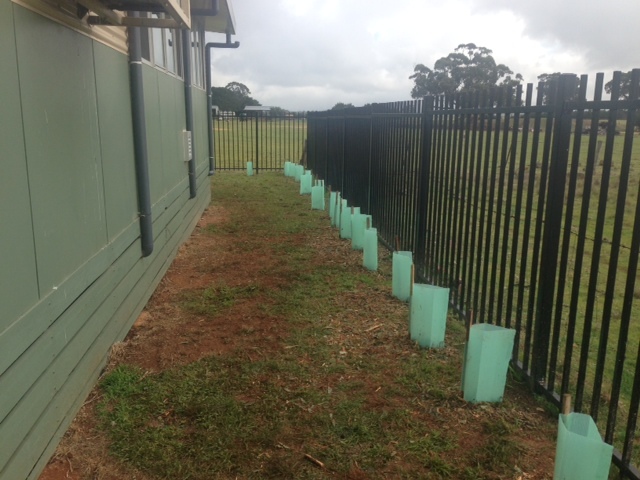 The new trees are drought-hardy natives, but still require regular watering to help them establish. 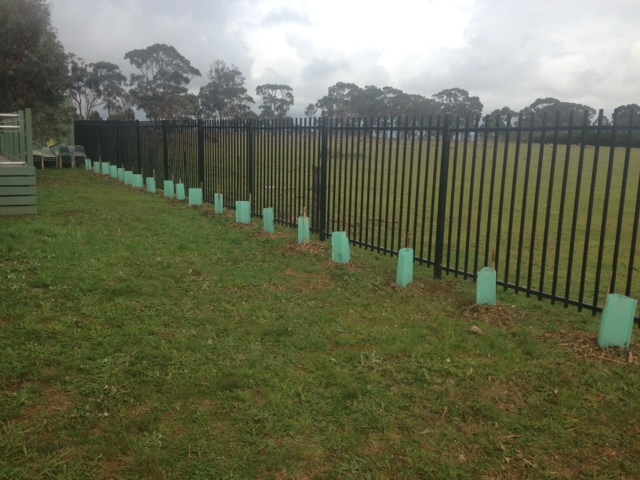 Since the school is not connected to a mains water supply and relies on capturing and storing stormwater from school buildings in large tanks, water is used sparingly. 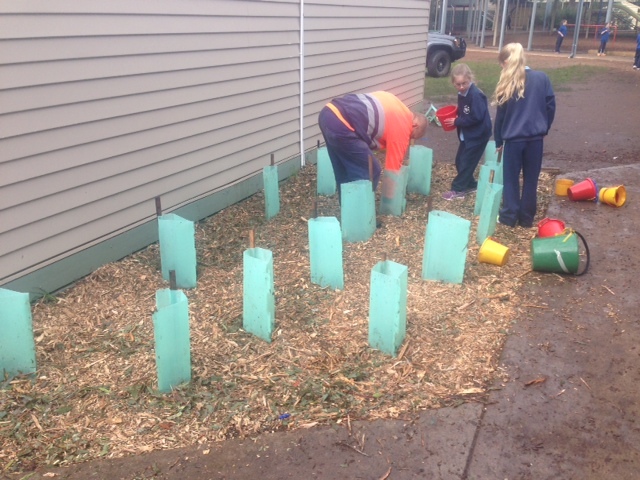 A working bee helped spread donated quality mulch around the new trees, and the school looks forward a growing a greener, healthier environment to learn and play in.